The Mongolian Rangelands and Resilience (MOR2) Project sought to understand how climate and socio-economic changes affect social-ecological systems in rural Mongolia, and how herder responses feedback to influence ecological-social conditions. Led by Colorado State University, the interdisciplinary team included collaborating scientists from one US and nine Mongolian research institutions and NGOs. As such, MOR2 spanned boundaries among disciplines, cultures, and sectors of society. Conceptual and analytical integration across disciplines proved challenging. 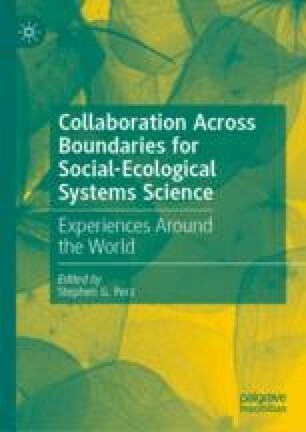 However, unforeseen and novel interdisciplinary and cross-sectoral collaborations emerged focused on herder observations of environmental changes, participatory scenario building, science capacity building, and community and policymaker engagement. The MOR2 team’s commitment to continual reflection and adaptation built trust and sustained collaborative relationships that led to important scientific results and a wide variety of broader impacts. We are grateful for the participation and assistance of over 40 individuals who contributed to data collection on the MOR2 project; the herders, local government officials, and community-based management practitioners who shared their knowledge and experience; and the technical assistance of Sophia Linn and CSU’s Geospatial Centroid, and the CSU Library data repository team. The MOR2 project was supported by National Science Foundation Award No. BCS-1011801, with additional support from The World Bank, US AID, the American Association of University Women, the Open Society Institute, the Center for Collaborative Conservation, Colorado State University, and the Reed Funk Account, Utah State University. Allegretti, A. M., Thompson, J., & Laituri, M. (2015). Engagement and Accountability in Transdisciplinary Space: Principles for Facilitating a Reflective Adaptive Process in Complex Teams. Knowledge Management for Development, 11(2), 23–43. http://journal.km24dev.org/. Jamsranjav, C., Reid, R. S., Fernández-Giménez, M. E., Altanzul, T., Baasandorj, Y., & Heiner, M. (2018). Applying a Dryland Degradation Framework for Rangelands: The Case of Mongolia. Ecological Applications. http://onlinelibrary.wiley.com/doi/10.1002/eap.1684/full. NSOM. (2018a). Mongolian Statistical Information Service: Administrative Units, Territory: Description. Retrieved from www.1212.mn. NSOM. (2018b). Mongolian Statistical Information Service: Number of Livestock 2017. Retrieved from www.1212.mn. Rao, M. P., Davi, N. K., D’Arrigo, R. D., Skees, J., Nachin, B., Leland, C., et al. (2015). Dzuds, Droughts, and Livestock Mortality in Mongolia. Environmental Research Letters, 10(7). https://doi.org/07401210.1088/1748-9326/10/7/074012. Thompson, J. L. (2009). Building Collective Communication Competence in Interdisciplinary Research Teams. Journal of Applied Communication Research, 37, 278–297. https://doi.org/210.1080/00909880903025911.